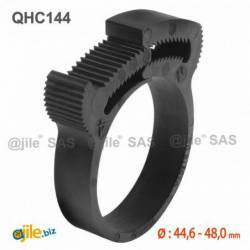 For the purchase of Diam. 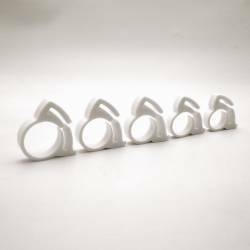 20.5 to 23 mm Plastic hose clamp - WHITE trust ajile.biz, screws & hardware online leader in Europe ! Thousands of references are present in our catalogue so that you can buy screws, nuts, bits, bolts, hooks and much more ! 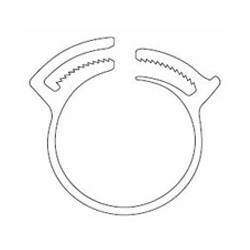 Its made for diameters between 20.5 and 23 mm. To loosen, you simply need to push both toothed extremities away from each other. Diam. 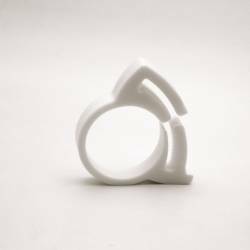 20.5 to 23 mm Plastic hose clamp - WHITE by the online hardware leader !